File Under: Humorous Paranormal Hijinks! Come explore a town where there's a ghostly spirit in every home, a creepy creature around every corner, and an unidentified flying object always hovering overhead. But that's not the half of it. Did we mention the squirrels? 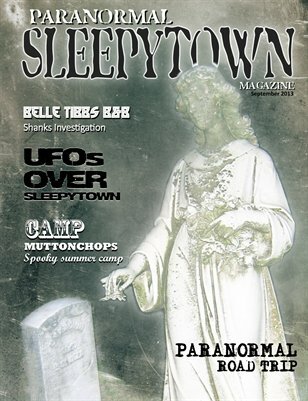 In the premiere issue of Paranormal Sleepytown Magazine, we follow investigators Fritz and Betty Shanks as they spend a night inside the haunted Belle Tibbs Bed & Breakfast, take a paranormal road trip, discover the bizarre history of Sleepytown's popular summer camp, and much, much more.